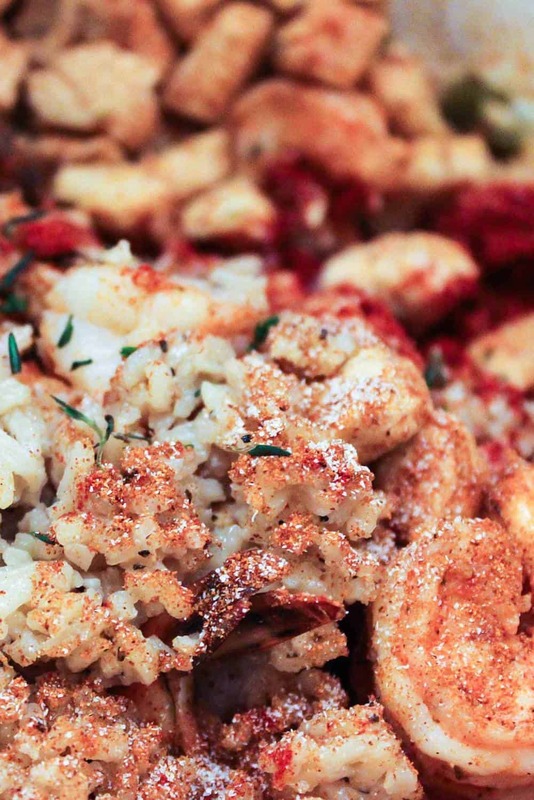 Authentic Jambalaya is easily one of our all-time favorite NOLA dishes. 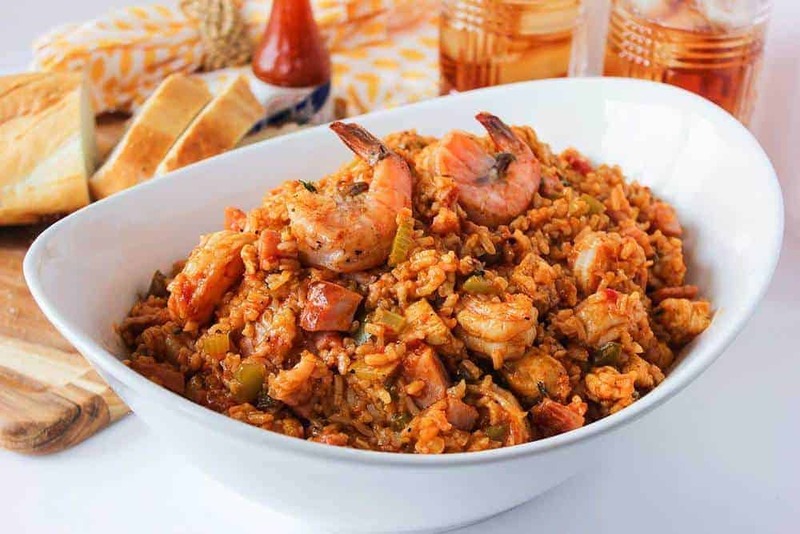 Even if it’s not Mardi Gras when you’re reading this, when you make this Authentic Jambalaya recipe, you’ll feel like you’re down in the French Quarter having this amazing bowl of pure goodness! Welcome to the Big Easy! YUM! Hey! Watch us make this amazing Authentic Jambalaya! Then see the recipe below. 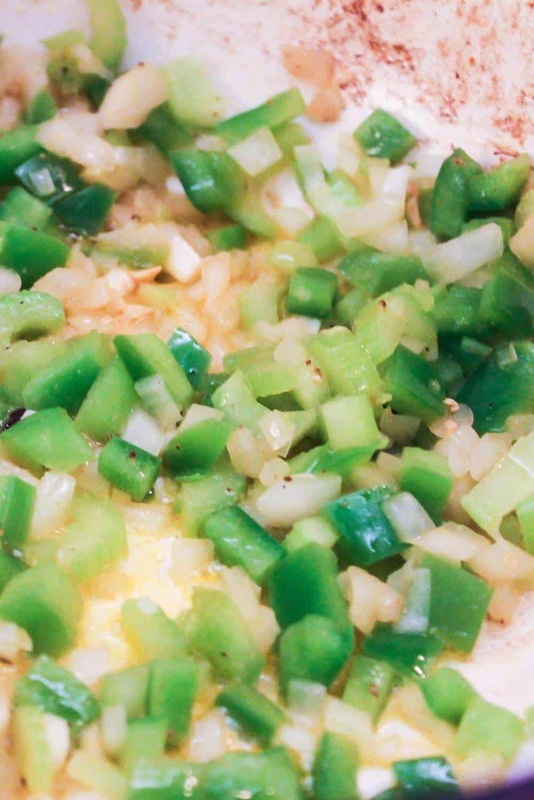 This classic jambalaya recipe starts off with the Cajun holy trinity (plus 2): Onion, green bell pepper, celery, garlic and jalapeño. This is what you call a very good start to something that’s going to become spectacular! Oh, we how we love homemade jambalaya. It’s similar to the mix of culture and tastes down Louisiana way…so vibrant and diverse and just so much flavor. This is food that’s good for your belly, and your attitude! 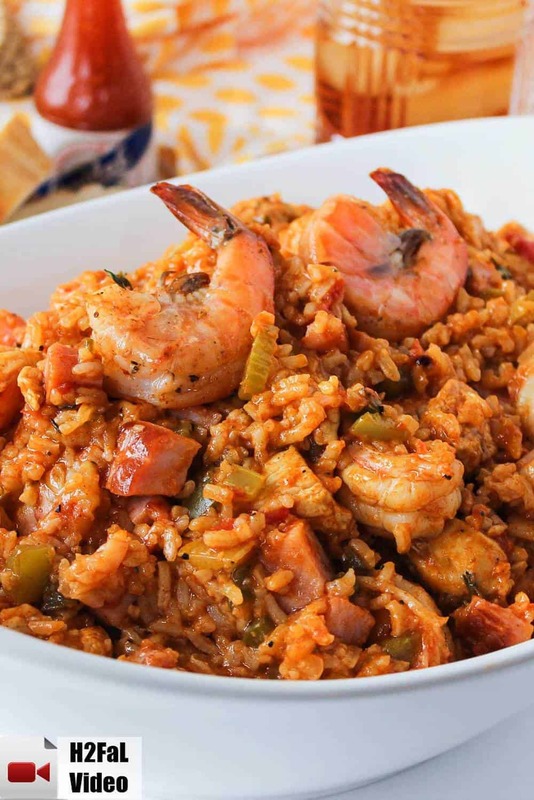 There are several types of jambalaya; some the have shrimp/seafood, and others that don’t. Some have tomatoes, others don’t. Our favorite version, which is considered Creole-style, and is most popular in New Orleans, has ample sausage, chicken AND shrimp and tomatoes. Oh, we have to say it again, this Authentic Jambalaya recipe is one of our all-time favorites. And, it’s not hard to make! We promise!! You’ve just got to give this iconic dish a try. You’re going to love it! Let me tell you it doesn't get much better than this amazing Authentic Jambalaya recipe! Classic New Orleans flavor. We love using chicken, andouille sausage and shrimp. Along with the other spices and aromatics that make this a NOLA favorite. So good! In a large heavy pot, preferably a Dutch oven, heat 1 tablespoon oil over medium high heat. Add the chicken pieces and saute until browned, about 5 minutes. Remove from pot and cut into bite-size pieces. Set aside. Heat the remaining 2 tablespoons of oil in the pan over medium-high heat. Add the sausage and cooked until starting to brown, about 4 to 5 minutes. Add the onion, bell pepper, celery, jalapeño and garlic. Sauté until soft, about 5 minutes. Add the tomato paste, vinegar and hot sauce and stir to combine, about 1 minute. Add the thyme, cayenne, garlic powder, chili powder and a healthy pinch of salt and pepper. Cook until aromatic, about 2 minutes. Stir in the tomatoes, reserved tomato liquid, stock, bay leaves, and then rice. Cover and cook in the oven until the rice is nice and tender, about 45 minutes. Remove from the oven and stir in the shrimp and cooked chicken. Return to the oven (covered) for 5 minutes. Remove from oven and let stand for 15 minutes. Stir with wooden spoon and then plate into warmed bowls and serve at once. Serve with additional hot sauce. This is still raw after almost an hour in the oven. Should I have prepared the rice first? This recipe is soooo good. Could tell from the rich color, reminded me of the time I had it New Orleans. Will be making again and inviting more people over to share the wonderful dish. Hi Greg, best way would be to re-heat in an oven set at 300°F. You might add a few splashes of stock before you put it into the oven, just to keep it nice and moist. In a pinch, the microwave works, too!! 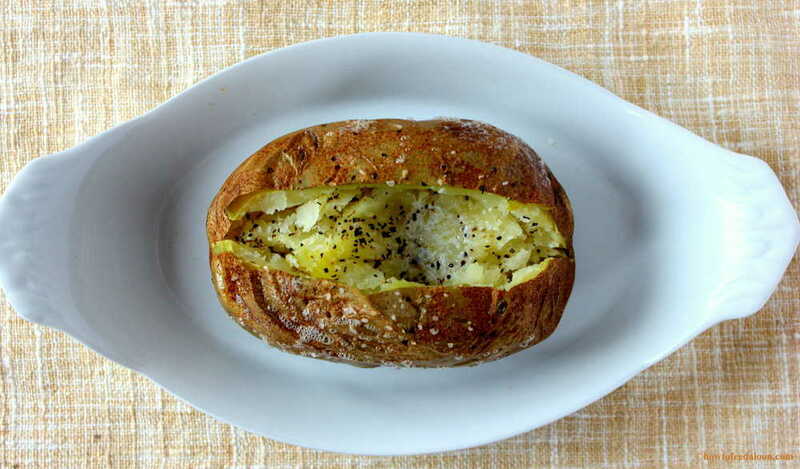 Great recipe that allows lots of room to riff off of it! Have made it twice with some variations, partly because we are on vacation and didn’t have all of the ingredients. Keep the good flavors coming lads. I am a researcher that spends hours looking at recipes to find the BEST! And hands down, this was the best! I made your recipe as written with the exception of replacing the red wine vinegar with wine and it was exceptional! Your site is FUN and your recipes are wonderful, I plan on making more of them. THIS looks AMAZING! I have searched so many of these online and they do not include jalapeno. Why wouldn’t jalapeno be included?? It’s a spicy dish! This seems like the perfect Jambalaya recipe! Cannot wait to try it and I will update my review!!! Thanks so much! Cheers to you both! This was delicious! Very easy to make. I made it the day before I was wanting to serve it, to allow all of the flavors to combine. I added 2 additional cups of chicken broth, and baked it until hot. The 2 of us have enjoyed it, it’s better every day! First off, you guys are hilarious! Second, this recipe looks delicious!! Ever add fish with the chicken? Delicious! Had to cook on the stove for a while after taking it out of the oven — the rice didn’t cook in the oven. Also found that it came out quite spicy for us – We used a pretty spicy andouille so that probably added to the heat! Next time I’d cut the cayenne in half or maybe even eliminate it. I will definitely use this recipe again! Oh, my, Jambalaya! This looks so delish! Will have to try this soon. Thanks for sharing!